Read more about HEARD•SYD and see photographs and footage of the horses in action. 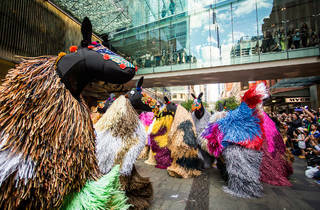 Not to be confused with the Australian expat singer-songwriter, American artist Nick Cave is best known for his 'Soundsuits' – wearable noise-making art. 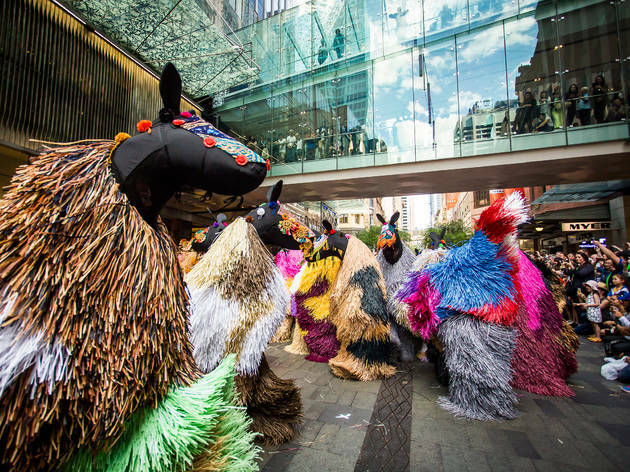 In his first major work in Australia, Cave is bringing 30 of his 'horse' Soundsuits to Pitt Street Mall (November 10) and Carriageworks (November 12) for a colourful parade. He's previously performed the piece at New York's Grand Central. HEARD-SYD is being co-presented by City of Sydney (as part of Art & About public art festival) and Carriageworks, but it was spearheaded by Carriageworks director Lisa Havilah, who is a huge fan of Cave's work.